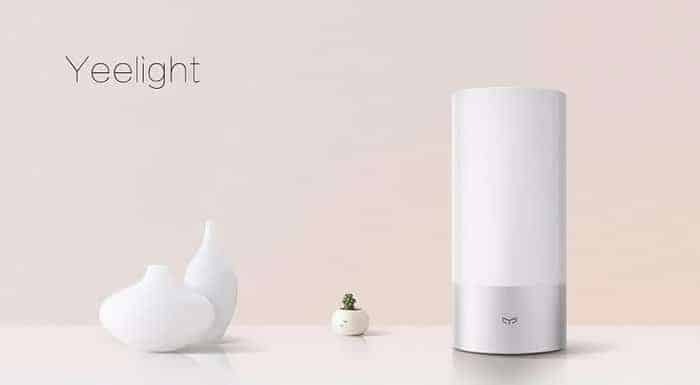 We have seen the Xiaomi Yeelight bedside lamp which was launched recently by Chinese smartphone giant Xiaomi. Xiaomi is probably the only smartphone manufacturer in the world to have come up with the idea of making smart home decor and appliances. So, today we will be talking about how it works, how good it is and how it can improve your lifestyle. So, let’s get started. So, as you can see, these are the Top 5 features that the Xiaomi Yeelight has. Now let’s get into the main part. It has just 10W of power and it has some great features. You can set the color settings to random and let it will change the color itself, without any hassle. You can also set colors manually, you can adjust the color temperature and brightness. It works with the color temperature range between 1700K-6500K. Wanna see how it works? Check the video below where our partner GearBest.com shows the Xiaomi Yeelight in action and explains how it works. How can this smart bedside lamp change your lifestyle? Would you like buying lamps having different colors, or change bulbs frequently? NO. Nobody will like this stupid idea, so here Yeelight works like a charm. You can set any color you want. And how would you adjust the brightness? Well, this is also painful. But with Xiaomi Yeelight, this is just a swipe away. You can even change the color temperature according to your needs. That’s not all, you can set it to turn on and off at certain time of the day. Like when you come back from office, you get it switched on and when you wake up late on Sundays, you will find that it has turned off. Great, I think. 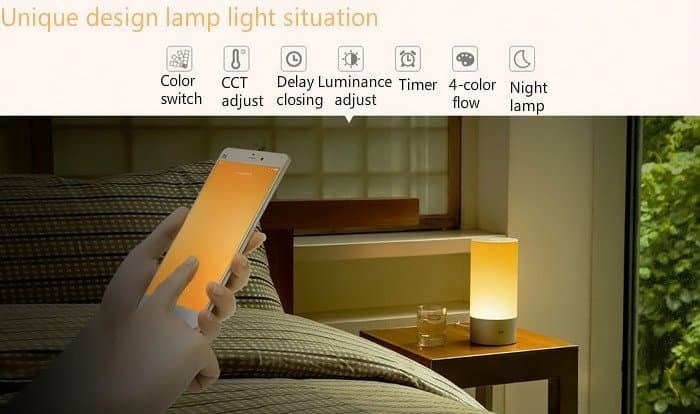 You just need to download an app, and connect your smartphone to Yeelight via Bluetooth and you can change every single settings of the Xiaomi Yeelight with just the flick of a finger. Don’t you think it’s time to buy this asap ?